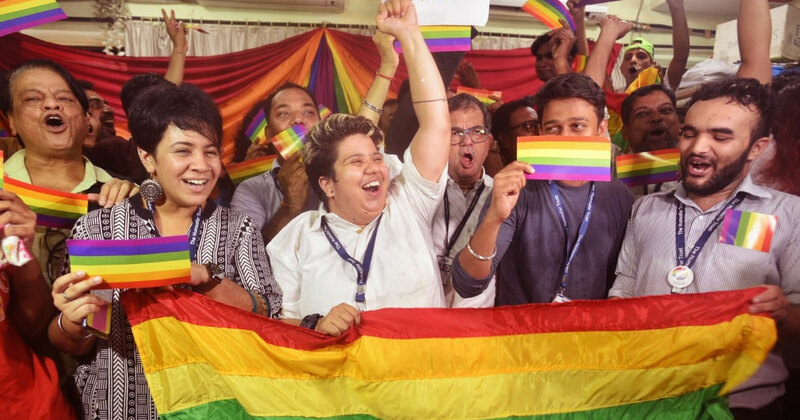 A historic and far-reaching ruling by India's Supreme Court (SC) decriminalising homosexuality was today welcomed by activists, personalities and politicians from the UK too. Homosexual activity between consenting adults was earlier punishable by up to 10 years in jail according to Section 377 of the Indian Penal Code. The Victoria-era law has now been definitively struck down. The ruling cannot be challenged. Chief Justice Dipak Misra said the law was irrational, indefensible and violated fundamental freedoms that were enshrined in the constitution. The ruling was celebrated and praised in the UK too. Labour MP Seema Malhotra said it was "long overdue and a great step for equality and human rights". Presenter and NHS doctor Ranj Singh tweeted: "Today is an historic day... my mother country, India, has taken a massive step forward for equality. I’m so proud." Section 377 in India has been scrapped! Homosexuality in India is no longer criminal! In 1861 Homosexuality was made illegal - a rule placed by the British in colonial India. Despite the British leaving in 1947 this rule stayed till now. I hope India is now more acceptable towards LGTB ! Why was this man sentenced to only four years for plotting to blow up a mosque?